First of all, I still have my giveaway - it's not too late to enter :) Look to your right for more info. 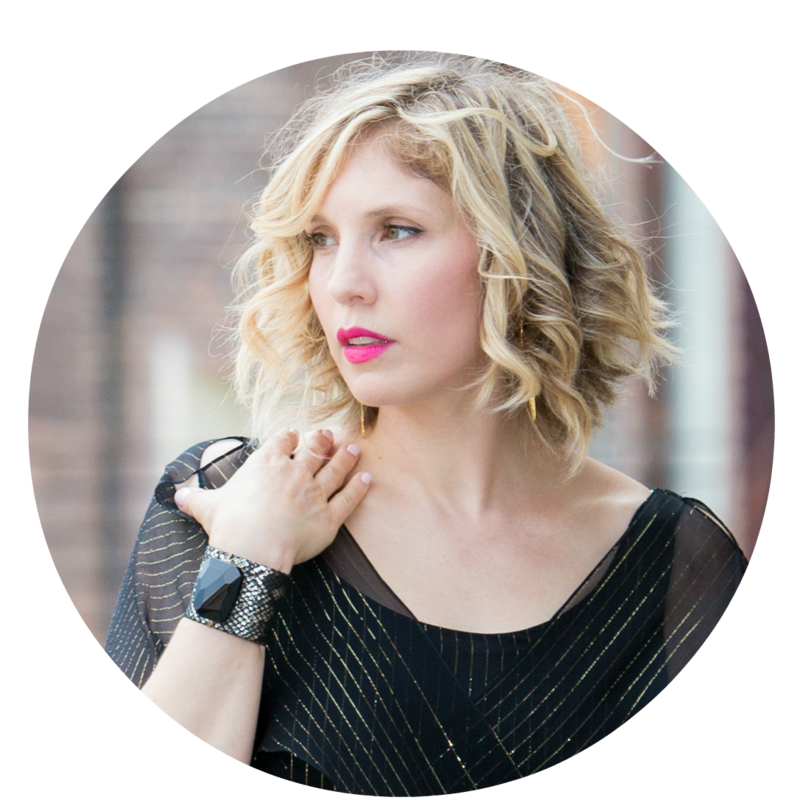 And now - blog sale time! I've had several readers inquire about Marc by Marc Jacobs bags so I grabbed a bunch! SOLD This is a refurbished Machive Marc by Marc Jacobs bag, retailed for $398 - get this one for $158 local pickup or $173 shipped. It has a few light marks, nothing serious but this is a refurb so it's not perfect. If you think you see something on the bag it's probably just a shadow lol. Not sure of the name of the color - looks like a reddish-rose/pink color. 18" - 26" crossbody strap drop. A logo plate punctuates the curvy flap of a soft leather crossbody shaped with poshly pleated body. SOLD Stock pic in white so you can get a better idea of size. 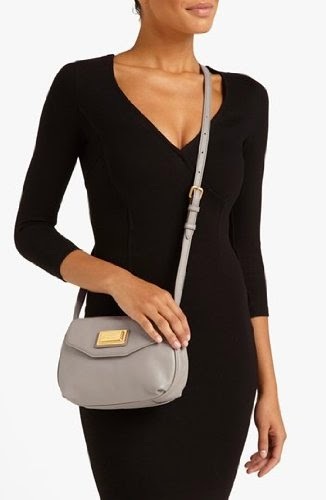 SOLD Next is this Marc by Marc Jacobs Percy flap crossbody bag - I believe it's the cement color - which is a taupe-y/gray, retail $238. It does not have the original tag, just a Nordstrom Rack printed tag. Get mine for just $65 local pickup or $73 shipped! Magnetic-snap flap closure, adjustable strap. Leather (Italy) with goldtone hardware. 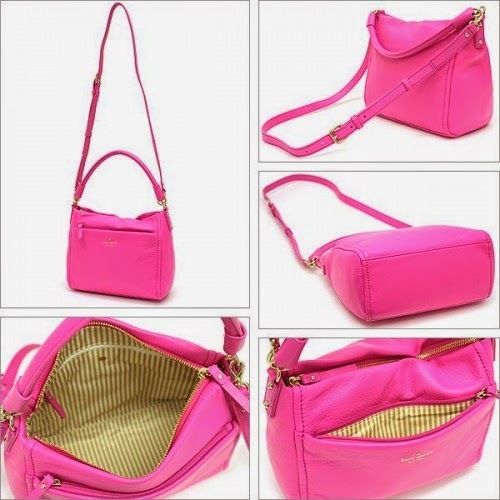 Dimensions: 8 1/2"W x 5 1/2"H x 3 1/2"D. Crossbody strap drop: 20" - 23". 5 1/2" strap drop; 19 1/2" - 21 1/2" crossbody strap drop. 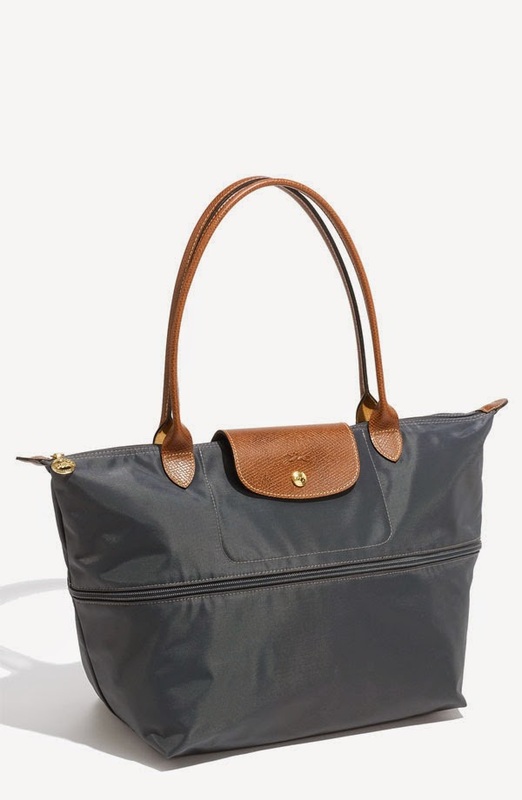 SOLD I've been asked for Longchamp before so I grabbed this gray Le Pilage medium expandable tote that retailed for $198, get this for $106 local pickup or $116 shipped. May have a few faint marks, nothing serious. 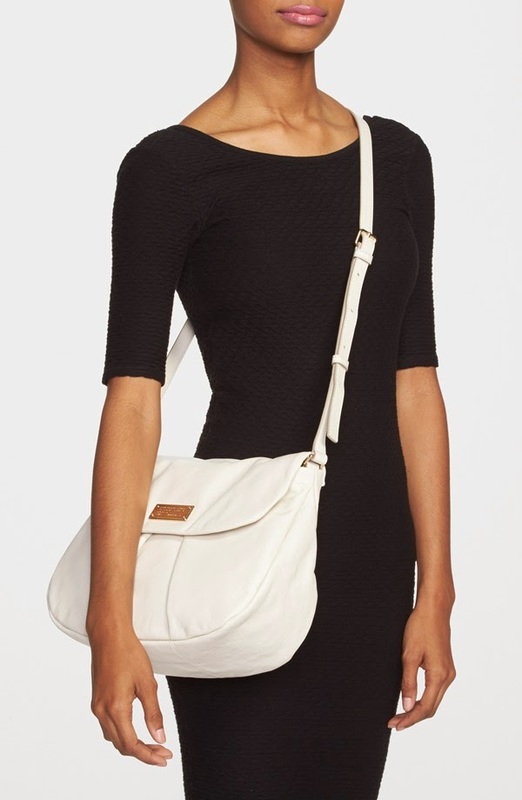 As for sizing, on reviewer on Nordstrom.com said "The size of the tote is very close to the large 'le Pliage', and would make a nice compact gym bag or large tote purse. Expanded it is probably close to the size of a queen size pillow case." For all of you Tory Burch lovers I picked up this rosegold perf logo small clutch - they call the color royal salmon. Retailed for $295, get mine for $132 local pickup or $142 shipped. May have a few faint marks, nothing serious. RETURNED I decided I wasn't going to keep this cute Laundry by Shelli Segal cutout faux leather peplum sheath size 4 dress. It does not have the original tag, just a Nordstrom one. Retailed for $265, get this one for $29 local pickup or $37 shipped. And last but not least - I grabbed a couple Burberry pieces. RETURNED The cardi fits me but isn't really my style so I figured it should go to someone who would appreciate it. This Burberry Brit check trim drape front cardigan is a size small (size 4-6 according to Nordstrom.com) retailed for $350 - get this one for $145 local pickup or $155 shipped. If you remove the tag you can probably wear it reversed. This is a refurbished item but it looks great. Check-print lining peeking out the draped front and rolled cuffs brands a relaxed cardigan in a supersoft modal knit. This size 4 dress is a stunner but too small for me. I saw a bunch of these popping up on ebay for around $500 but you can get this one for a steal! Retailed for $1,195 - get it for just $150 local pickup or $165 shipped. A sequin or two might be missing (just guessing) but this dress is SPECTACULAR. Black Sequin Crossover Dress. Elegant fitted sequin dress with crossover bodice. Fitted waist and exposed back zip closure.